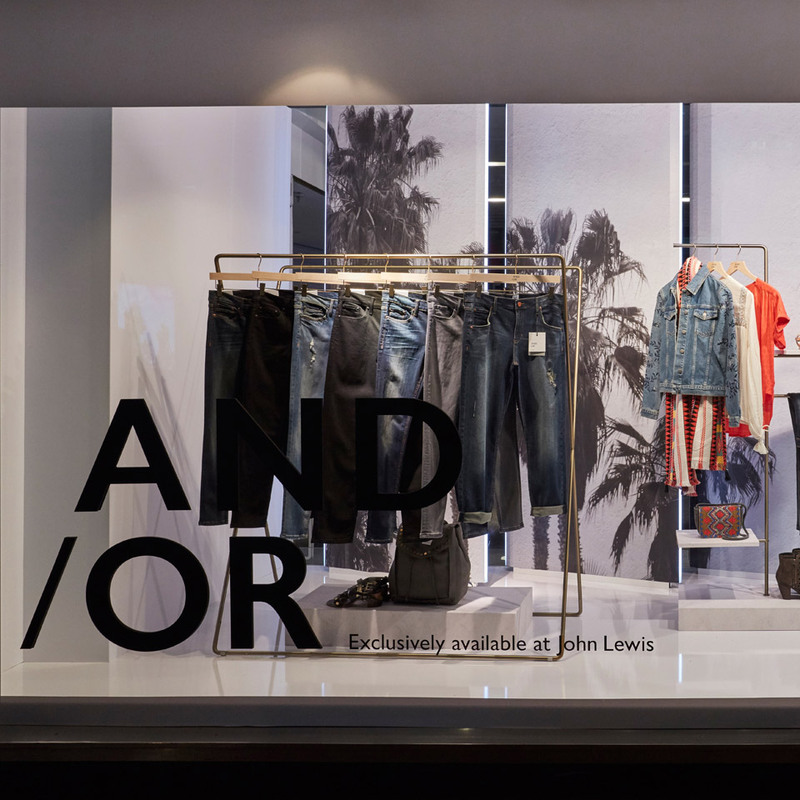 For the launch of John Lewis’ own new brand And/ Or, we designed and produced flagship schemes for John Lewis Oxford Street and Peter Jones. 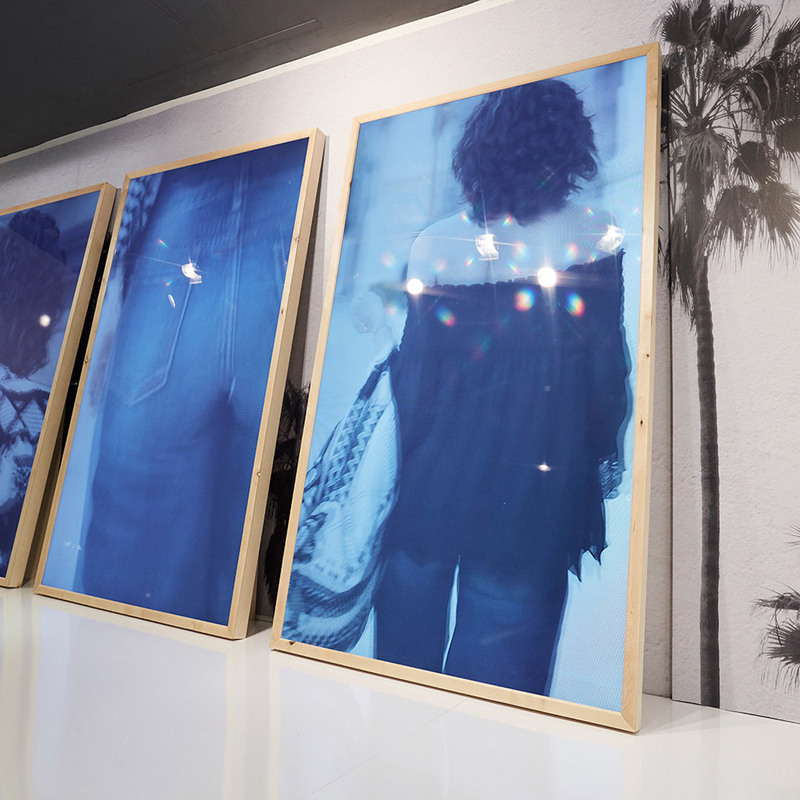 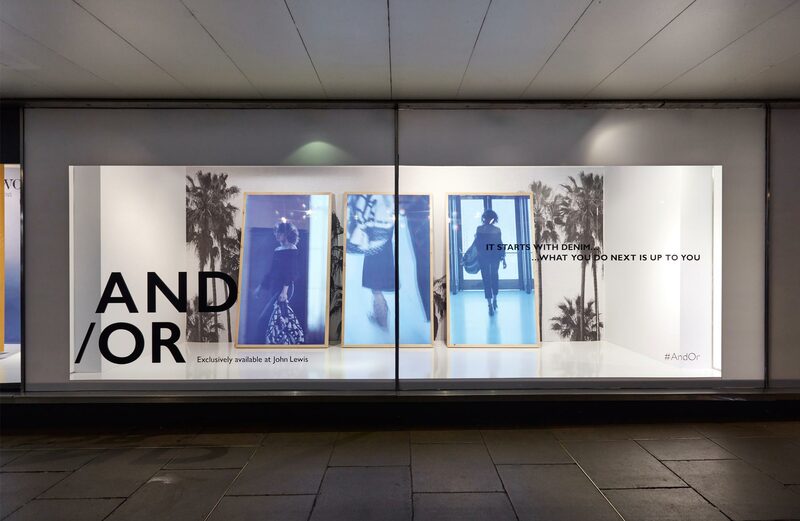 At each flagship store, we installed 3 portrait 95” screens standing in bespoke freestanding birch and plywood casing. 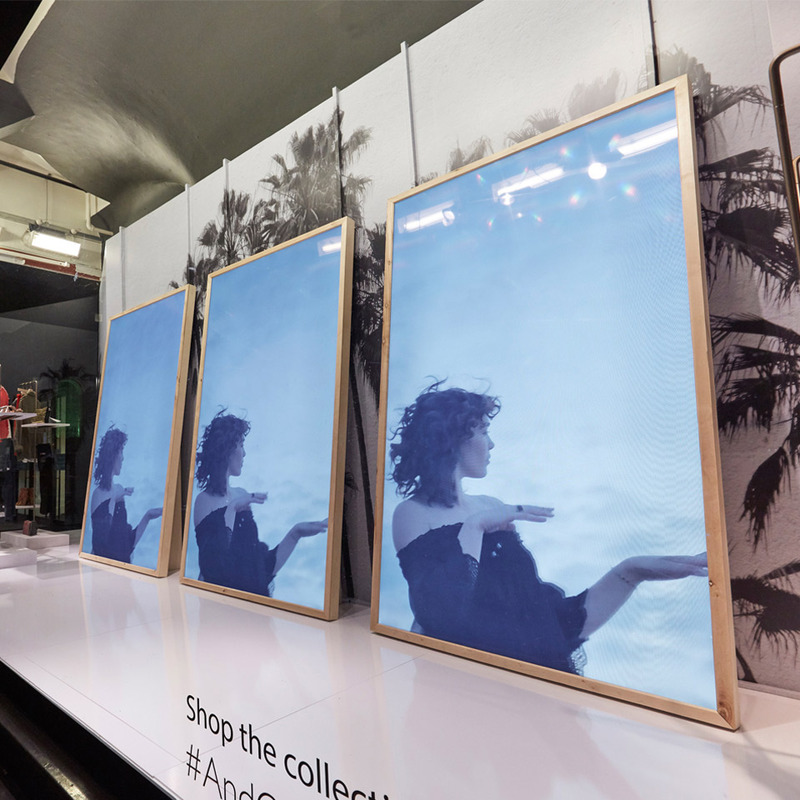 The content, produced by Adam & Eve was synched across all three screens using bright-sign technology. 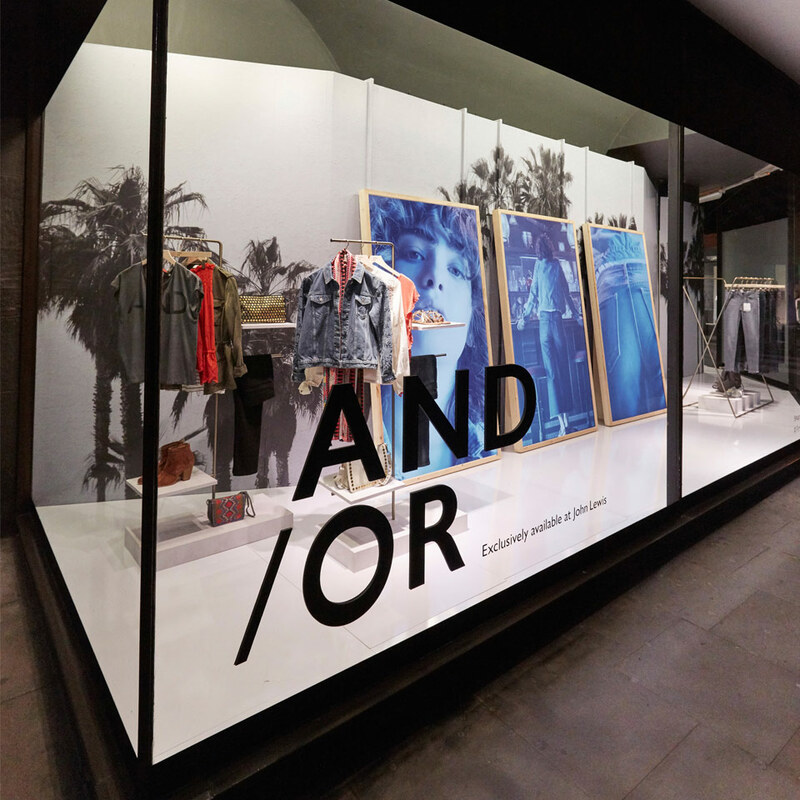 We produced the brass and concrete effect A-frames and outfit rails, especially for the collection.